Are you looking for Free WordPress Resume Themes a.k.a Free vCard WordPress Theme to brighten your online freelancer CV vCard? Apart from premium themes, choosing a free theme for your website is also a good choice because you will have a chance to experience a new product with no fee. In the previous post, I showcased a collection of Best Premium vCard Resume Themes for Online CV 2019. 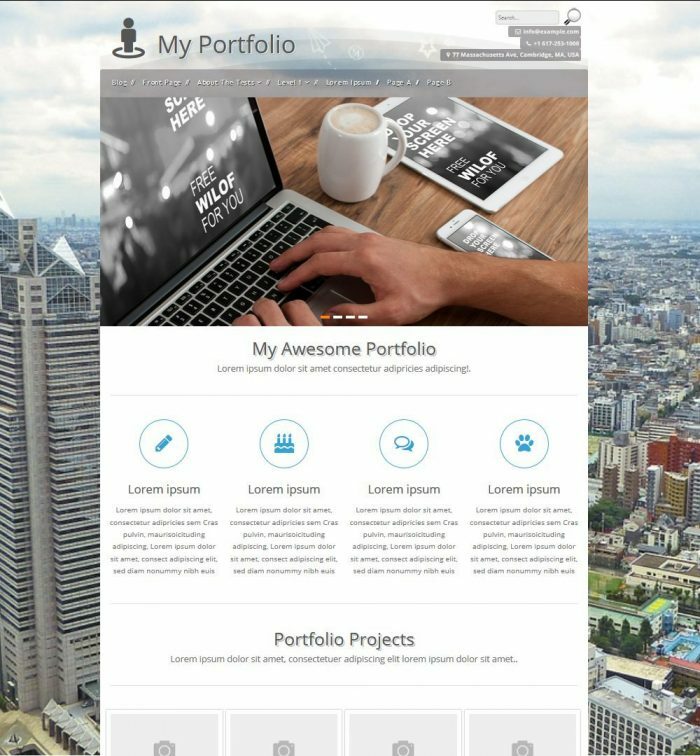 Continuing my topic about Resume WordPress Themes, I would like to showcase hand picked Free WordPress Resume Themes for Online Freelancer Portfolio, Resume, vCard by 2019 available on the WordPress.org. 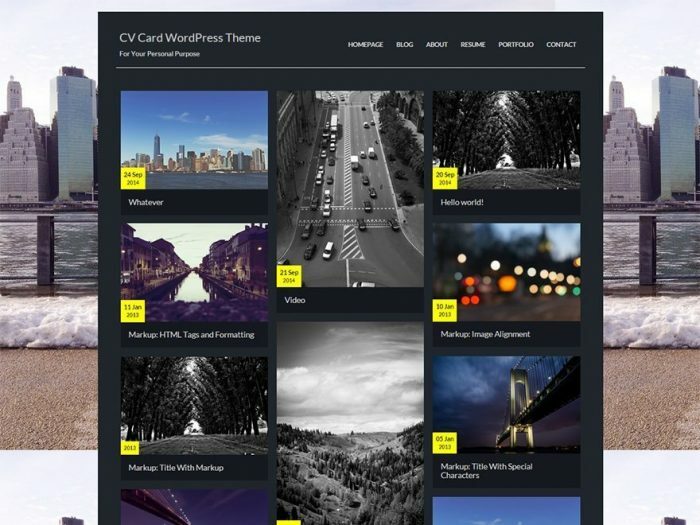 CV Card is a WordPress theme for the online resume, simple personal blog & portfolio in which you can quickly create 6 custom page templates and custom post type: About, Blog, Contact, Homepage, Portfolio, Resume to introduce yourself. If necessary, the resume is available here to download. Additionally, by using the CV Card Options, you can upload a profile photo and resume file to your website. This free WordPress CV Theme is designed to the latest standard of HTML5 and CSS3 and built with Bootstrap 3 for easier & better web development. The simple & truly extensible options Redux framework, Font Awesome Icons and Advanced Custom Fields also are supported in the CV Resume WordPress Theme. Coming with fully responsive and Retina ready features, your web page for online CV will always have a great look in all devices to attract visitors. This free vCard WordPress Theme is compatible with Contact Form 7 to have a powerful contact page in case anyone wants to get in touch with you. The Google Map is also displayed in the contact page for an easier searching. 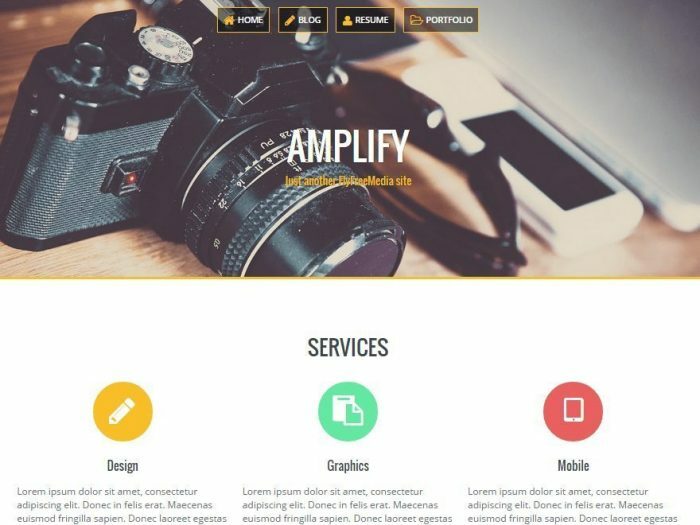 Being released since March 2015, currently Amplify is reaching nearly 11.000 downloads and becoming the hottest free WP theme for Portfolio, Vcard Resume, and Blog in WordPress.org. This free Vcard WordPress theme offers tons of options which allow you create the website as desired. Amplify CV WordPress Theme free uses the powerful Live Composer plugin to build an attractive front page and uses Custom Field Suite plugin to construct the resume page template. Even more, all social channels in the footer can help you display your full social profile so that employers can find you easily on the web. This free WordPress Resume Theme also comes with a series of awesome options such as Google fonts & color scheme support, translation ready, fully responsive and Parallax header image. The portfolio part supports Jetpack’s Custom Content Module, and 3-page templates are provided to display a filterable portfolio. There are three blog layouts available with options to hide various elements in case you want to turn Amplify into a Blog WordPress Theme. Personal Portfolio WordPress Theme free is a theme for the designer, photographer, web designer, illustrator, graphic designer, creative business, artist, art director, creative professionals who want to advertise and boost their work to the web base. The Personal Portfolio WP Theme comes with powerful & simple options panel with custom CSS which allows you to customize settings easily. The translation ready is supported here even with Right-to-Left languages. This free WordPress Portfolio Theme is designed on the HTML5 and CSS3 to make sure of a responsive and modern portfolio page. There are many more free Portfolio CV Resume WordPress Themes available in the WordPress.org. However, I only picked top three Themes: CV Card, Amplify and Personal Portfolio based on their design, features, functionality, and amount of download. This list of WordPress Themes Resume free might be updated if I find any good theme or received a contribution from you. You can update me with your contributions in the comments section below.